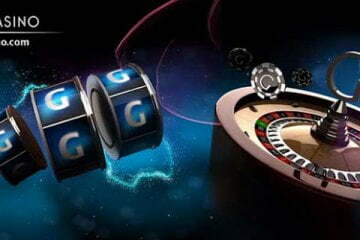 Class Act With iOS and Android apps available, Gala Casino is a really high quality mobile casino. Gala Casino has been one of the main operators in the UK for decades. While its popular land-based casinos pull in the punters, Gala Casino’s online and mobile sites are growing all the time as you’ll find out in the this Gala Casino review below where we look at the mobile games and other key areas. The mobile casino at Gala is improving rapidly, and the interface has changed a lot since it first launched several years ago. As such, you can find games quicker, download apps in seconds, and get to the promotions you want right away. Let’s take a closer look at how Gala is bringing more to the party. Simplicity is key at Gala Casino. The games dominate the lobby screen, with simple HOME, GAMES, LIVE CASINO and PROMOTIONS tabs accessed at the bottom of the main area. Searching for games gets your digits working a little harder, however. Like the online site, games are separated into tabs along the top of the lobby – Classic Slots, Jackpot games, Live Casino, etc – but a drop-down menu might have been easier to navigate. Security is good at Gala and new customers usually need to verify their account by uploading documents such as a driving licence. In addition, players can earn a share of £1 million in Gala’s slots prize draw. £10 of slots play on selected Playtech slots earns players a draw ticket, with draws taking place twice a week. Special ‘Gold Card’ promotions run in the Live Dealer casino, with prizes of £100 awarded if you get dealt a special card. VIPs can enjoy much bigger bonuses. Regular 20% cashback offers and weekly double-up promotions make joining the scheme more worthwhile. VIPs benefit from the usual highlights like a Personal Account Manager and exclusive promotions, while also enjoying 24/7 customer support and bigger table limits. Getting the GalaCasino app is pretty easy. Players can log-in and enjoy instant games on their mobile, or download a native app for iOS and Android. Regular online log-in details can be used on Gala’s mobile client. Gala’s platform is powered by the behemoth that is Playtech. As a result, slots players can enjoy many of the great DC Comics-themed slots from the developer like Superman II. However, IGT also get a look in with some great games, while a new deal with Odobo means even more titles have been added to the lobby. At time of writing, however, there were around 80 games available for mobile. On the table/instant games side, Playtech’s power is in full effect. The developer’s superb blackjack and roulette software is a stand-out, while the Live Casino offers a limited range of games for players. There are also exclusives like ‘Key Bet’ roulette, provided by SG Gaming, which gives players added multipliers and gamble features. There’s a decent selection of payment options for making GBP payments. VISA, MasterCard and Maestro offer pain-free deposits, while PayPal, NETELLER and paysafecard can be used with a single tap. While Gala’s mobile client might not quite live up to the level of its online wing, there is certainly much to enjoy at the site. Playtech games and slots are never to be sniffed at, and with lots of jackpots every day you’ll be coming back to take a shot at the big one.